WHAT TO DO WITH YOUR ORANGES? Scientists believe they have unveiled the way in which a chemical found in red wine can help keep people healthy. It was already known that resveratrol, a chemical found naturally in plant products including red wine, can prolong lifespan and imitate the effects of a low-calorie diet. It boosts energy in cells which provide health benefits. Now researchers believe they have unlocked the secret by discovering that resveratrol works by tricking the cell into the idea that it is deprived of energy which causes the cell to increase production of energy-producing proteins. The discovery could lead to new treatments for conditions like Alzheimer's, heart disease and diabetes either using resveratrol or stronger agents which work in the same way. Unfortunately, simply drinking the stuff is not sufficient. According to one authority, you would need to drink about 13 bottles a night to get a meaningful dose. But potent drugs could be now developed to mimic the effect of the chemical. Resveratrol is also found in grapes, mulberries and peanuts. As well as lowering the metabolism – meaning the body needs less food to generate enough energy – it can reduce levels of liver fat, blood pressure and blood sugar. Eaten hot or cold, spiced beef is traditionally served on St. Stephen’s Day (26th December) and is usually served decorated with holly and red ribbons. Soak the meat overnight in cold water. Next day, rinse well and tie up with kitchen string to form a firm, neat joint. Put the onion, turnip and carrot in a large saucepan, place the meat on top, add the bay leaf then cover with cold water. Bring to the boil, skim then cover and simmer gently for 3 ½ to 4 hours. Leave to cool completely in the liquid. Drain the meat very well, place in a roasting tin and stick with the cloves. Mix together the remaining ingredients and spread over the meat. Bake for 40 minutes, basting from time to time. If desired, a little Guinness can be added to the water in which the meat is boiled for that extra flavour. start with 500g/1lb 2oz whole oranges, after cooking you want to be left with a litre/1¾ pint of liquid once the peels have been strained out, and you need 1kg/2lb 4 oz of sugar. water. Leave both overnight, as this will help the marmalade set well. The next day, place the peel and water in a saucepan. Sieve the pips, place their soaking water (which will have jellied slightly) into the saucepan, then tie the pips in muslin and drop this into the pot. Bring to the boil then simmer for 2-3 hours, topping up with water so that the fruit stays well covered, until the peel is soft when squished between your fingers. Alternatively, cook in a pressure cooker for about 30 minutes. Strain the juice from the peel and measure it. Whatever the original weight of fruit was at the beginning, you want about double that in cooking liquid. So if you started with 500g/1lb 2 oz fruit, then try and have roughly a litre/1¾ pint (in other words 1000ml or 1000g) of cooking liquid left. If you have more, boil it down in a saucepan to intensify it. If you have less, top it up with water to dilute it. oranges used. Bring to the boil, skim off any white froth and pips that rise to the surface, and then boil until the temperature reaches 105C/220F. Meanwhile sterilise enough jars in the oven and have the lids washed and ready. When the marmalade reaches 105C/220F, turn the heat off and leave for 10 minutes. Ladle the marmalade into a jug then pour this carefully into the jars, leaving just a bare 0.5cm/¼in gap at the top. Screw the lid on tightly and leave undisturbed until completely cold. Now there are two very important things to bear in mind, the first is that this is soooooo much better than the name implies that it is going to be, and the second is that this is NOT just a Spanish/Catalan version of bruschetta. Pa amb tomàquet embodies everything that is great in Mediterranean food. Crispy bread, pungent garlic, beautiful sun ripened tomatoes, sea salt, and bewitchingly good olive oil. Catalans eat pa amb tomàquet morning, noon, and night, and it is beloved that many people refer to it as the Catalan national dish. It can be breakfast, lunch, supper, a snack for children coming home from school, or as tapas at any moment of the day. It could be eaten on its own, but is more often served with cured sausages, cold meats, anchovies, cheeses, or grilled vegetables. It's fantastically simple and shockingly good! This isn't really cooking, this is just combining fantastic ingredients and letting magic happen, so the ingredients have to be the best they can be. The bread should be white and rustic, denser and chewier than a French baguette. Your tomatoes don't have to be from the Mediterranean, and in fact unless you live there they really shouldn't be. They should be locally grown, ideally ripened on the vine, and as ripe and juicy as you can get them. You can use whatever good quality extra virgin olive oil you like, Spanish is obviously traditional, but that doesn't mean you have to use it. Now, the Mediterranean countries do produce some very good sea salts, but my favourite to use for this dish is actually Maldon salt from England. As with so many great dishes, the recipe is ludicrously simple. 1. Lightly toast a thick slice of bread on both sides. Ideally do it over a wood fuelled fire, but since most of us don't have one handy most of the time, a grill or a toaster will do just fine. 2. Cut a clove of garlic in half and rub it all over the surface of the bread. 3. Cut a ripe tomato in half, and rub the cut side into the bread, so that all of the juice and pulp of the tomato is left on the bread, and you end up with just the skin in your hand. 4. Drizzle a good amount of olive oil over the tomatoey bread. 5. Sprinkle on some rough sea salt (to taste). That's it, sit back with a glass of cava and eat it while it is still warm. Homemade mincemeat is the perfect ingredient for all your Christmas baking and makes a lovely Christmas gift all by itself. Mincemeat, the traditional filling for mince pies, is a spicy preserve comprising a mixture of dried fruit, apple, suet and candied fruit and spices steeped in rum or brandy. It has been part of British cookery for centuries and did originally contain meat, though now the only meat present is in the suet. This traditional mincemeat recipe is simple, straight-forward and only takes minutes to make. Pack into sterilised jars and seal. Store in a cool dark place until you want to use it. If you're looking for a way to use up mincemeat this Christmas, give this frosted flan a go slathered in citrus cream. Make the pastry in a food processor: blend the flour with a pinch of salt and the sugar. Add the butter and lard to the processor and pulse briefly. Add the egg yolk and enough cold water to make a stiff dough (set aside the egg white). Use the pulse button on the processor to bring the mixture together. Roll out three-quarters of the pastry and line a 23cm/9in flan tin or pie plate with it. Fill the tin or pie plate with the mincemeat. Roll out the remaining portion of pastry to cover the top, cutting out a 7½/3in hole in the middle with a plain cutter. Place the pastry ring on top of the flan, crimp round the edge to decorate and seal. Cover the hole with a piece of foil cut to the same size as the hole and bake the flan in the oven for 35-40 minutes. About five minutes before the flan is cooked, lightly beat the egg white and brush the top of the flan with it. Sprinkle with caster sugar (or icing sugar) and return to the oven. To serve, whip the cream with the liqueur, caster sugar and orange zest in a bowl. Pile the cream into the middle of the warm flan and serve hot. This last-minute Christmas pudding recipe comes together in less than 30 minutes. Serve with lashings of brandy butter. Preheat the oven to 220C/425F/Gas 7. Grease a small pudding bowl with butter. Mix all the ingredients, except the brandy, in a bowl until well combined. Spoon the mixture into the pudding bowl, cover with greaseproof paper and cook in the microwave on full power for one minute. Transfer the pudding to the oven and bake for a further 8-10 minutes. Prepare a steamer, then steam the puddings for 8-10 minutes, or until cooked through. To serve, turn the pudding out onto a serving plate and pour over the brandy. Measure the flour and icing sugar into a mixing bowl and rub in the butter until the mixture resembles coarse breadcrumbs. Add just sufficient water to mix to a firm dough - if you prefer this can be made in a processor. If time allows wrap the dough in cling film and chill for about 30 minutes. Roll out the pastry to a rectangle slightly larger than the tin, then line the base and sides of the tin with pastry. Trim the pastry level with the top edges of the tin and patch any gaps if necessary. Spread the mincemeat evenly over the pastry base. To make the topping - melt the butter and allow this to cool slightly. Pour into a bowl, onto the remaining topping ingredients, and mix together until the ingredients combines to form a dough. If time chill this mixture - this makes grating easier. Using a coarse grater grate the topping over the mincemeat and spread evenly. Bake in pre-heated oven for about 20-25 minutes until golden brown. Divide into slices (makes about 16 slices) dust with icing sugar and serve warm with cream or brandy butter. To freeze: Store the cooked slices in a plastic container - seal, label and freeze for up to three months. To thaw: Thaw in the freezer box for four hours at room temperature or overnight. To reheat: Warm in pre-heated oven 150C/300F/Gas 2 for about 20 mins - dust with icing sugar before serving. 1. Preheat oven to 180°C. Cut beef into 2.5cm-3cm cubes. Season with salt and pepper, add 2 about tbsp oil, and mix well. Heat a large frypan over a medium-high heat. Brown the beef in 2 or 3 batches. Remove each batch and place in casserole dish. 2. Reduce heat in the pan, add the brandy to pan (taking care that the saucepan may flame up). When it has come to the boil add the onion, tomato, almonds and olives. Toss in the garlic and carrots and pour in the red wine and stock and bring to the boil. 3. Add to the casserole dish, stir to combine. Cover the casserole dish, place in oven, and cook until the beef is very tender. Stir every 40 minutes or so, add water if needed to keep the ingredients just covered. To serve stir parsley through the casserole and serve with mashed potato or pasta. Don't rush the initial stage of browning the meat. This will make your casserole rich in colour and flavour. Brown the meat in small batches over a medium-high heat. Simmer the casserole gently and taste it to see if it's ready. Stir occasionally and adjust the heat as it cooks if needed. When it's done the meat should be tender enough to fall apart easily with a fork. Best beef cuts for or casseroling: Chuck or Boneless shin/Gravy beef (these cuts take 2-2½ hours to cook). Topside, Round and Blade take 1-1½ hours to cook. 1. Wash the calamari inside and out and pat dry with paper towels. With scissors or a very sharp knife, cut a 1/4-inch slit on one side, near the pointed end of each calamari tube. 2. In a bowl, mix the olive oil, lemon juice, and pepper to make the marinade. Toss the calamari (body and heads) in the marinade, rubbing with your fingers and making sure they are moist inside and out. Set aside for about 20 minutes. 3. In a food processor or blender, pulse together the bread crumbs, almonds, olives, zest, thyme, and pepper. 4. Add salt sparingly since the olives are usually quite salty. 5. Light a charcoal grill, or heat a stove-top griddle. 6. Stuff each calamari tube with about 2 tea-spoons stuffing and secure the top with a toothpick. 7. Place the stuffed calamari, cut side up, together with the heads on a well-­oiled rack, close to the burning coals, or on a very hot oiled griddle. As the calamari tubes puff up, press carefully with tongs to extract the air. Grill until firm and marked, turning once or carefully rolling, to cook and mark on all sides, brushing every now and then with the marinade, about 8 minutes total. Whisk olive oil, lemon juice, lemon peel, and cardamom to blend in small bowl. Drizzle over couscous. Mix in garbanzo beans, dates, almonds, minced cilantro, and green onions. Season with salt and pepper. Let stand at room temperature at least 1 hour and up to 2 hours. Garnish with cilantro / parsley sprigs. Preheat oven to 400 degrees F (200 degrees C). Lightly grease a 12 cup muffin pan. In a large bowl, mix flour, shredded coconut, sugar, almonds, baking powder, orange zest, baking soda, and salt. In a medium bowl, whisk together coconut milk, orange juice, olive oil, and vanilla extract. Pour into the flour mixture, and stir until just blended. Transfer to the prepared muffin pan. Bake 15 minutes in the preheated oven, until a knife inserted in the centre of a muffin comes out clean. Turn onto a wire rack to cool before serving. Sardines are extremely healthy with an excellent source of omega-3 and other important nutrients -These easy fish recipes are tasty barbecued, grilled and even baked. Heat a char-grill pan over medium-high heat. Drizzle both sides of bread with oil Char-grill for 2-3 minutes each side. Rub with garlic. Meanwhile, place flour into a bowl. Coat sardines with the flour, shaking off any excess. Add about 1-2 tablespoons of olive oil to a large frying pan over medium-high heat. Add sardine fillets, skin-side down for 1 minute until golden and crispy. Squeeze over lemon juice. To serve, evenly divide the tomatoes and sardines between the slices of toasted bread. Mix the herbs, mustard and lemon juice. Rinse the sardines and pat dry. Sprinkle salt and pepper into the gutted cavities, then divide the herb mixture between the sardines, spooning it into each cavity. Brush the sardines lightly on both sides with oil. Heat a ridged griddle pan until very hot, then add the sardines and cook for 2-3 minutes on each side to brown. Reduce the heat and cook for a further 4 minutes or until cooked through. Remove to plates and sprinkle with salt and pepper. Squeeze with lemon and serve with brown bread. For the tomato and caper sauce, heat the olive oil in a small pan, add all the remaining sauce ingredients and cook over a gentle heat for five minutes, or until the tomatoes have softened slightly. For the sardines, rub the sardines with oil. Heat a griddle pan until smoking hot and griddle the sardines for 1-2 minutes on each side, or until cooked through. To serve, place the toasted pitta bread onto a serving plate, top with the griddled sardines and pour over the tomato and caper sauce. Scale and gut the sardines (you can have your fishmonger do this). Wash the sardines under cold, running water and pat dry with paper towels. Lightly salt the sardines with coarse sea salt and refrigerate. Meanwhile, boil 2 potatoes until a knife is easily inserted. Drain and cool. Cut peppers into 3-inch wide strips and combine in bowl with 1/4 cup of olive oil, 1/8 cup white wine vinegar, onion, and garlic. Season with salt and pepper, to taste. Place the sardines on a hot grill. Cut potatoes in half lengthwise and place on the grill. When the sardines are done on first side, flip them over, and give the potatoes a quarter turn to create the grill marks. Place 3 sardines on each plate with 2 potato halves and some red pepper salad. For decoration and extra flavour, sprinkle with some thinly sliced onions and garlic over the sardines and drizzle with remaining olive oil. Cream Cheese Pecan Grape Salad - I just love these desserts that masquerade as "salads"!" Cream together cream cheese, sugar, vanilla and sour cream until smooth. Fold the grapes into this mixture. Spread the grape mixture out in a 9x13 dish. Mix together pecans and brown sugar, and sprinkle over the top of the grape mixture. Combine the grapes, cucumbers, almonds, scallions, vinegar, yogurt, cream cheese, olive oil, and buttermilk in a blender, or food processor. Process until almost smooth, with just a bit of texture remaining. Stir in salt, white pepper, cayenne and dill. Cover and refrigerate until very cold. Serve in cold bowls and garnish. two hours before serving. Cook linguine according to package directions. Meanwhile, sprinkle chicken with salt and pepper. In a large skillet over medium heat, cook chicken in oil and butter for 5-8 minutes on each side or until juices run clear. Remove and keep warm. Add wine to skillet; stir to loosen brown bits. Bring to a boil; cook until liquid is reduced by half. Stir in cream; cook and stir until thickened. Add the grapes, tarragon and chicken; heat through. Drain linguine. Serve with chicken mixture. Yield: 4 servings. Cut the gelatin into pieces and put them in cold water to soak. Wash the grapes and saving some for decoration cut them in half and de-seed them. In a pan pour the mosto or grape juice, the white wine, the sugar and the lemon juice and mix everything really well and then start to heat it. Drain the gelatin and add it to the pan and stir until it dissolves. Then pour some of the jelly mixture into a glass and wait until is coagulates a bit. Then add a layer of grapes and then pour more liquid into the glass and do this for all glasses of jelly. Put them all in the fridge for at least three hours. Before serving add a few of the saved grapes on top to decorate. I wasn't aware that Spain produced Ice Wine but the DO (Denominación de Origen) was the first approved to do so in the region of Penedès. This has become the first European appellation to approve the creation of ice wine by artificial freezing methods; the newly approved ice wine, Vino Dulce de Hielo, was available from the 2009 vintage. The artificial freezing of grapes is forbidden in the traditional Ice Wine regions of Germany, Austria and Canada where grapes must be left to freeze naturally on the vine. Traditionally Ice Wines are made when the grapes have been frozen at a temperature of below -6 Celsius (20F) for a number of days before harvesting; however the newly approved Spanish ice wine, DO Vino Dulce de Hielo, is created by freezing the grapes in either a cold room or on dry ice in a refrigerator. The grape varieties used to make the Ice Wine are Chardonnay, Gewürztraminer, Malvasia de Sitiges, Moscatel de Grano Menudo, Moscatel de Alejandria, Riesling, Sauvignon Blanc and/or Merlot – and the final wine must therefore contain 70/150 g/l of residual sugar with alcohol content between 9.5-13 percent. I am quite surprised that Spain has allowed this DO to go ahead as there has been little Ice Wine production there historically. Spanish Ice Wine only dates back to over ten years ago when the Gramona family (noted Cava producers) in Catalonia opted to make the first Spanish Ice Wines – Gramona Gewürztraminer, Riesling-Muscat and Gewürztraminer Crianza. The venture was the idea of Jaume Gramona who was inspired by the techniques used to make German Eiswein. Some winemakers in Rioja and Utiel-Requena have also made experimental batches. The Spanish Ice Wine has to be made differently as lack of frost in the Catalonian vineyards is a problem. The Gramonas discovered that after various tests, the only possible way to achieve the higher concentration of must after a late harvest was by partially freezing the grapes, using techniques known as "supraextracción" and "crioextracción" that take place in cold storage. There has been some discussion that the artificial freezing used to make the Spanish Ice Wine detracts from the traditional skills used to produce Ice Wine in other countries . . . what do you think? Ice wine was discovered accidentally in the 1700′s in Germany. Currently Canada is the largest producer of Ice Wine but this may change as a small town in north eastern China is also producing this rare, rich ambrosia. Huanren, a picturesque, mountainous county in Liaoning province, is currently building the largest Ice Wine estate in the world. Due to the environmental conditions needed to grow the grapes for Ice Wine, there are only a few countries which are able to produce the luxury product – as a result, supply falls far short of current demand. As you can imagine this offers quite an impetus if you can produce it and countries such as Israel, Australia and New Zealand are also starting to make Ice Wine. However you don't have to look so far afield – Ice Wines (vins de glace) are also made in Alsace – where they are less common but most of the major wine makers produce them from time to time. The riesling is the favoured grape, but Ice Wines are also made from gewurztraminer and pinot gris grapes. Seppi Landmann's winery makes vins de glace on the slopes of Zinnkoepflé, the highest vineyard in Alsace . France does not officially recognize the name "Ice Wine" and very few French winemakers embark therefore in what appears to be a risky and unprofitable venture. The only other Ice Wine I have heard of being made in France is in the Loire – namely the one off vintage of 1980 Huët Vouvray Vin De Glace Sec Le Haut-Lieu where 1000 bottles of vins de glace were made after a sudden frost in the November! Teriyaki Glazed Chicken Wings "The perfect party treat that's tangy, sticky and sweet! Drizzled with honey and teriyaki these wings scream flavour!" Place chicken wings in large resealable plastic bag or glass dish. Add 1/2 cup of the marinade; turn to coat well. Refrigerate 30 minutes or longer for extra flavour. Remove chicken wings from marinade. Discard any remaining marinade. Grill chicken wings over medium heat 20 to 25 minutes or until cooked through, turning occasionally. Meanwhile, mix remaining 1/2 cup marinade and honey in large bowl until well blended. Add grilled chicken wings; toss to coat well. Place on serving platter. Sprinkle with sesame seed. If using frozen chicken wings, thaw before marinating. Reserve some of the honey-marinade mixture to use as a dipping sauce. For spicy chicken wings, add 1/4 teaspoon crushed red pepper to the honey-marinade mixture. Grilled Salmon Kyoto "Very unique marinade gives this grilled salmon a great taste!" Pour marinade into a small saucepan. Bring to a boil, and cook for 1 minute. Marinated Grilled Prawns "A very simple and easy marinade that makes your prawns so yummy you don't even need cocktail sauce! Don't let the cayenne pepper scare you, you don't even taste it. Try it with a salad, baked potato, and garlic bread. You will not be disappointed!!!" In a large bowl, stir together the garlic, olive oil, tomato sauce, and red wine vinegar. Season with basil, salt, and cayenne pepper. Add prawns to the bowl, and stir until evenly coated. Cover, and refrigerate for 30 minutes to 1 hour, stirring once or twice. Preheat grill for medium heat. Thread prawns onto skewers, piercing once near the tail and once near the head. Discard marinade. Lightly oil grill grate. Cook prawns on preheated grill for 2 to 3 minutes per side, or until opaque. Succulent Grilled Peaches with Honey Chevre "The sweetness of the warmed peach goes so well with the creaminess of the goat cheese with a hint of honey. It's like getting cheesecake in a peach crust. " Preheat an outdoor grill for medium heat, and lightly oil the grate. Combine chevre cheese, milk, and honey in a small bowl. Grill the peaches cut sides down until peaches begin to caramelize and show grill marks, 5 to 7 minutes. Fill each peach half with 1 tablespoon of the cheese mixture. Garnish with a mint leaf, and serve warm. The restaurant and bar will please all the family with dishes to suit all with daily specials to suit the time of year chosen by the Scottish chef. There is an international menu as well as the BBQ and Specialist Catalan dishes to tempt you. All the food is home-made from produce sourced locally to ensure that freshness and quality you deserve. Wide selection of local and international spirits as well as coffees and specialist teas. In the winter rotisserie chickens will be available. There is as you would expect an excellent choice of locally selected wines House wines all locally sourced (Tarragona). Great ambience inside and out plus a wonderful large garden terrace area where you can dine under the trees or just chill out by the outside bar. Also a play area to entertain the children so you can relax. Private functions and parties for up to 300 people can be catered for. Disabled access and toilets. Sky TV will be available for all sports as of end of August. Stroll down to the peaceful cove of Cala de les Sirenes, (only 50m away) after a lovely meal and have a siesta or a gentle swim to burn off your lunch or have a pleasant dinner after your day on the beach. The Menu Del Dia is a superb example of what you will receive from the À La Carte as you can see from the photos below of a Menu Del Dia starter and homemade deserts. Just imagine what else is on offer from the À La Carte! Certainly plenty to tickle your taste buds. Le Bistro de Cathy with home made French cuisine, welcoming and friendly staff serving you on the terrace under the palm trees or dine inside amongst the pleasant surroundings. Lorenzo Marceaux opened his restaurant "Chez Lorenzo" in December 2003 and it came from a merger of a French restaurant "La Ville D'Evreux-Chez Daniel" which was open from 1964-2003 with the Marceaux family owned restaurant and Pizzeria Italian " Il Leopard "opened in 2000. The restaurant is located overlooking the sea in Miami Beach. The extraordinary situation seduces you with its wonderful views of the sea and the bay between Miami Playa, Cambrils and Salou. Tasty and quick salad recipes ideal for picnics and trips to the beach. All you will need is 15 minutes and a fridge! Buon appetito! Cook pasta until tender but still firm to bite, drain, dress with a little olive oil and cool. Add all the remaining ingredients, season and keep refrigerated. Chop and cook all the vegetable together until tender but not too soft, let them cool. Cook the meat with garlic, onion parsley and rosemary, let it cool. When all the ingredients have reached room temperature, mix well, add basil, Parmesan, pine nuts and olives. Season and keep refrigerated. Mix tomatoes, mozzarella and oil in medium bowl. Season with salt and pepper.Mix in basil. Cook pasta until tender but still firm to bite, drain, dress with a little olive oil and cool. Add the mixture and toss gently to blend. Season and keep refrigerated. Cook pasta until tender but still firm to bite, drain, dress with a little olive oil and cool. Gently fry the bacon, onion, courgette and peas for 5 minutes and let these ingredients cool. Mix all the ingredients together, season and keep refrigerated. Cherries have been associated with pie and other deserts long enough, and "now it's time to take a look at the other side, the healthy side." It's certainly a better alternative than fast food. "There's more interest in living a healthy lifestyle, and that can mean grabbing cherries by the handful for a quick snack. There's a definite trend in society where people are wanting to eat healthier, and this fits right in with what folks are looking for. The tangy little orbs of deliciousness have been credited with an array of health advantages, from soothing gout and arthritis to helping with a good night's sleep. Emerging evidence links cherries to many important health benefits – from helping to ease the pain of arthritis and gout, to reducing risk factors for heart disease, diabetes and certain cancers. Cherries also contain melatonin, which has been found to help regulate the body's natural sleep patterns, aid with jet lag, prevent memory loss and delay the aging process. A recent study from the University of Michigan reveals new evidence linking cherries to heart health benefits. The study found that a cherry-enriched diet lowered total weight, body fat (especially the important "belly" fat), inflammation and cholesterol & all risk factors associated with heart disease. The key is the fruit's skin and pigmentation, where antioxidants called anthocyanins are found. The study found that the antioxidant activity of tart black cherries is greater than that of Vitamin E, according to the Moss Report, a cancer treatment and referral service. Help prevent and fight cancer Cherries are a rich source of healthy antioxidants, which help to repair damaged cells in the body. They contain queritrin, a potent anticancer agent. They also contain ellagic acid, which experts believe is one of the most useful compounds for cancer prevention. Another compound found in cherries is perillyl alcohol (POH), effective in reducing the occurrence of all types of cancer; it stops the spread of cancerous cells by depriving them of the crucial proteins they require in order to grow. Act as an anti-inflammatory. Cherries can help with pain relief; they contain anthocyanin and bioflavonoids, which are compounds that produce a similar effect to that of aspirin or ibuprofen. These compounds can relieve or prevent head and body aches, and even ease the symptoms of arthritis and gout. Improve the body's Circadian Rhythms. A natural sleep aid, melatonin is abundant in cherries. This antioxidant helps to regulate your sleeping and waking pattern, and since it is found in small quantities in the human body, the dose in cherries can work wonders. Fight against premature aging. The compounds isoqueritrin and queritrin work to eliminate the by products of oxidative stress, and thereby slow the aging process. Serve as a healthy snack. Cherries are tasty and nutritious: one cup, approximately 21 cherries, contains no fat, about 90 calories, no sodium, and no cholesterol. They're also a great source of fiber, potassium (270 mg. per serving, to be exact!) and vitamin C.
Heat the olive oil in a Dutch oven or 5-quart heavy pot over moderately high heat. Add the onion and lamb, and brown the lamb. Stir in the garlic, sweet potatoes, red pepper, cumin, paprika, coriander, cinnamon, salt and black pepper. Add the chopped tomatoes and 1 cup of water and bring to a boil. Reduce the heat and simmer covered for 15 minutes. Add the chickpeas and cherries and continue simmering until the lamb and sweet potatoes are tender and the sauce has thickened. Put flour, yeast and 1 tsp salt into a large bowl. Stir in 500ml of slightly warm water and the oil. You should end up with a wettish dough that is rough and lumpy. Cover with a tea towel, keep it in a cool room leaving dough to rise, until doubled in size. The longer you leave it to rise, the better. When ready bring the dough to room temperature. Heat the oven to 220C/200C fan/gas 7. Make sure the oven its hot. Roll the dough into a pizza shape and leave to rise for 10 mins while you prepare your toppings. Top the bases with your chosen ingredients, drizzle with olive oil, sprinkle with salt and bake for 18 mins for a large pizza or 12 mins for an individual, or until the crust is crisp and the topping is bubbling. Spread ready-made tomato sauce (or passata) over the pizza base, sprinkle chopped Mozzarella and plenty of fresh basil on top. Bake in the oven. In 1889, during a visit in Naples, Queen Margherita of Savoy was served a pizza resembling the colors of the Italian flag, red (tomato), white (mozzarella) and green (basil), which is how Pizza Margherita was named. Spread ready-made tomato thick sauce (or very thick passata) over the pizza base, add anchovies, capers, oregano and salt. Bake in the oven. According to the rules proposed by the Associazione Vera Pizza Napoletana (Genuine Pizza Napoletana Association www.pizzanapoletana.org), the real Neapolitan pizza dough consists of wheat flour (type 0 or 00, or a mixture of both), natural Neapolitan yeast or brewer's yeast, salt and water. Spread ready-made tomato sauce (or very thick passata) over the pizza base, mozzarella, brie and gorgonzola, sometimes ricotta can be added. Bake in the oven. Spread the Mozzarella over the pizza base cutting it in small cubes, add the brie and sprinkle a generous amount of Parmesan. Cook the pizza for 12 mins. Remove pizza base from the oven and add one finely sliced pear and white pepper. Cook in the oven a further few minutes - The pizza is ready when it becomes golden. Spread the Mozzarella over the pizza base cutting it in small cubes, add the radicchio and cook for 10 mins. Remove the pizza from the oven, add slices of taleggio. Cook in the oven a further few minutes. Your pizza is ready when the taleggio is completely melted. Add rind of one lemon to the dough, and prepare the pizza base as per usual. Top with turnip greens, smoked salmon and sour cream. Sprinkle some dill and a pinch of pepper. Bake the pizza in the oven at 220 degrees for 15 minutes, remove the pizza, cover the filling with baking paper and cook for another 10 minutes. 1. Heat the oven to 220C/fan 200C/gas 7. 2. Divide the prawns, garlic, chilli, sherry and olive oil between 2 small ovenproof dishes. 3. Cook for 6-8 minutes until pink and sizzling. 4. Sprinkle with the parsley and serve with crusty bread. To butterfly the prawns simply slit the prawns lengthways but don't go all the way through and remove the vein. 1. Heat oven to 200C/180C fan/gas 6. Layer up half the potato, tomato and aubergine in a baking dish, scattering with garlic, oregano and olives, and drizzling with oil and seasoning as you go. 2. Scatter over the feta, then repeat the layers until all the ingredients are used up. Finish with potatoes and a little oil. 3. Bake for 50 mins or until the veg are tender (cover with foil if they're getting too brown). Top with the lamb steaks, rubbing with a little more oil and seasoning. Bake for 15-20 mins more until the lamb is cooked. Allow to rest and cool a bit before scattering with oregano and serving with crusty bread. 1. Heat the oven to 180C/fan 160C/gas 4. Put the dates and tea in a saucepan and bring to the boil. Cook for 3-4 minutes to soften the dates. Stir in the bicarbonate of soda. Wash the courgettes, then cut into thin slices, cook them at high heat in olive oil with the onions for 3 minutes. Crumble and add the stock cube to the courgettes, cook for about 20 minutes on medium heat adding water when necessary. Place the ricotta in a bowl and whisk with a fork, add 2-3 tablespoons of milk, a pinch of salt and freshly ground pepper. Keep the ricotta warm by placing the bowl over a pan of boiling water, but off the heat. In a small frying pan cook the butter and the basil until the butter starts to foam. Meanwhile cook the tagliatelle, drain, dress them immediately with butter and basil. Put the tagliatelle in the ricotta bawl, add the courgettes and mix well. Add Parmesan and serve hot. Chop the carrots, the celery sticks, the shallots in half, add the bay leaf, thyme, and cook in 4 spoons of olive oil for 10 minutes. Add salt, pepper, white wine, lemon juice and half glass of water. Cook for 20 minutes and let it rest. Cut the lobsters in half. Mix the bread without crust with garlic, a handful of parsley, ginger, onion, lemon zest, salt and pepper, then add to the filling. Spread the filling on the lobsters tops and add a little butter. Bake in a hot oven at 200 degrees for 10 minutes and serve immediately. Wash the sea bass, removing the skin and filleting. Peel the asparagus, wash and cook in boiling salted water for about 15 mins. Place the asparagus tips with the fillets of sea bass, salt them and placed them on an oiled glass baking tray. Bake in the oven at 130 degrees for around 15 mins. In the meantime, wash the tomatoes, wipe the mushrooms and cut into wedges. Sauté in a pan with fresh oregano, a drizzle of extra virgin olive oil, salt and pepper. Serve everything together. Colomba di Pasqua -The Easter Dove is a leavened cake shaped like a dove - it is said that the in mid-sixth century a Colomba was offered to Alboino King of the Lombards, who was besieging the city of Pavia. This was an offering for much desired peace, which is why the Colomba is now the protagonists of Easter and symbolises peace and serenity. Blanch the almonds in boiling water and peel them. Dissolved the yeast in a little warm milk, add the flour, shape into a loaf and let it rise by covering with a cloth. When its increased by double, add the eggs, egg yolk, the remaining flour, sugar, butter, a pinch of salt, the orange pieces and milk. Let this rise again on a greased plate, shaped in a dove shape. Brush the dove' surface with the egg yolk and sprinkle with remaining almonds and sugar in pieces. When the dough is increased by double, bake and cook for about 1 hour at max temperature, then moderate the heat and continue cooking until lightly golden. Drain the anchovy fillets, dry with paper towels and chop them. Chop the olives, drain the tuna and break it into smaller pieces. In a large pan, add oil, garlic cloves, anchovy, cook at medium heat until golden. Combine tuna, olives, cook for a minute or two, then add the tomatoes, a handful of oregano, thyme and a pinch of salt. Cook for about ten minutes on low heat, then turn off. Boil pasta in salted water, just before draining, add half a ladle of cooking water into the sauce. Add the drained pasta into the sauce and cook at high heat for a few minutes, stirring frequently. Serve immediately with a generous grinding of fresh pepper. Clean the spinach, put them in a large pot and boil over medium heat for 10 minutes. When nearly cooked add a pinch of salt. When cooked put the spinach in a drainer, using a spoon squeeze and remove the remaining water. Chop them finely, place them in a bowl, add the ricotta, parmesan and mix well with a fork. Fill the cannelloni with the mixture using a spoon. Butter a baking dish large enough to hold all the cannelloni in a single layer. Put a spoon of béchamel at the bottom of baking dish and arrange the cannelloni. Cover the cannelloni with the remaining béchamel, sprinkle more grated Parmesan and bake in a preheated oven at 200 ° C for 20 minutes. Cook under the grill for a couple of minutes to brown the surface. Clean and chop the artichokes very finely. In a large saucepan, cook the artichokes with the garlic, parsley and extra virgin olive oil. When needed, add a little water so that the artichokes stay moistened and don't burn. Cook for approximately 10 minutes, or until they are soft. Add salt and pepper. Meanwhile, cook the pasta, when its done, add it to the artichokes saucepan, add the cream, stir, and adjust the consistency of the sauce with a bit of cooking water if necessary. Chop the gongorzola and the bacon in pieces, and crush the walnuts in small bits. Clean the radicchio, dry it and chop fine. Cook the gnocchi in boiling salted water, when they come to the surface drain them very gently and place them in a buttered baking plate, preferably a terracotta one. Add the gorgonzola, walnuts, radicchio and bacon. Gently stir and combine ingredients, cover everything with a generous amount of grated Parmesan. Place the dish in the oven for 5 minutes. Delicious home-cooked Italian food for takeaway! Visit my web site to see my selection of ready-made takeaway dishes which I freshly prepare with only 24hrs notice. All dishes are available for collection, or delivery around the El Perello area. Get out your broom and sweep away the past: the Year of the Rabbit begins February 3. Most of the dishes served during Lunar New Year (also known as Spring Festival) are symbolic of something positive and hopeful. •Chicken and fish, for example, symbolize happiness and prosperity--especially when served whole. •Dishes made with oranges represent wealth and good fortune because they are China's most plentiful fruit. •Noodles represent longevity: therefore, they should never be cut! •Duck symbolizes fidelity, while eggs signify fertility. •Bean curd or tofu, however, is avoided because its white colour suggests death and misfortune. Dishes are also chosen based on homonyms--words that either are spelled the same or sound the same as other words. Fish (yu) is served because it sounds similar to the Chinese word for plenty; whole fish represents abundance. Turnips are cooked because their name (cai tou) also means "good luck." Spicy Orange Beef - Slivered orange zest, orange marmalade, and red pepper flakes add strong, hot citrus flavour to this stir-fry of round-steak strips. Steamed rice is a perfect accompaniment for this dish. 1. In a wok or skillet, heat oil over medium-high heat. Add beef strips 1/3 at a time. Stir-fry for 3 minutes or until browned, removing the done pieces to a plate lined with paper towels. 2. Return all the beef to the wok. Stir in orange peel, garlic, and ginger; stir-fry 1 minute. 3. In a medium bowl, combine cornstarch, broth, soy sauce, sherry, marmalade, and red pepper. Pour this mixture into the beef, stirring constantly. Bring to a boil over medium heat and cook for 1 minute. Serve hot. Chicken Lo Mein-"This dish is easy to make, and full of flavour. The chicken is incredibly tender, and the ginger, garlic and soy sauce combine to give it its authentic taste. 1. In a medium, bowl, combine the chicken with 2 1/2 teaspoons of white sugar, 1 1/2 tablespoons vinegar and 1/4 cup soy sauce. Mix this together and coat the chicken well. Cover and marinate in the fridge for at least 1 hour. 2. In another medium bowl, combine the chicken broth, water, sesame oil and ground black pepper with the remaining sugar, vinegar and soy sauce. In a separate small bowl, dissolve the cornstarch with some of this mixture and slowly add to the bulk of the mixture, stirring well. Set aside. 3. Cook the linguine according to package directions, drain and set aside. Heat 1 tablespoon of the vegetable oil in a wok or large saucepan over high heat until it starts to smoke. Add the chicken and stir-fry for 4 to 5 minutes, or until browned. Transfer this to a warm plate. 4. Heat the remaining vegetable oil in the wok or pan over high heat. Add the ginger, garlic, mushrooms and green onions, and stir-fry for 30 seconds. Add the reserved sauce mixture and then the chicken. Simmer until the sauce begins to thicken, about 2 minutes. Add the reserved noodles and toss gently, coating everything well with the sauce. Served at Chinese bakeries and dim sum restaurants year around, these delicate tarts are even more popular during the Chinese New Year season. Preparations: Preheat the oven to 325 degrees Fahrenheit and grease the tart pans. Lightly beat the eggs, taking care not to produce any air bubbles. Stir in the milk and the sugar. Add the yellow food colour if using. On a large, lightly floured surface, roll out the dough until it is very thin (about 1/8-inch or 3 to 4 mm thick). Cut the dough in half before rolling out if needed. Use a pastry cutter to cut out 18 circles that are 3-inches in diameter. Fit the circles into the tart shells. "Write your own fortunes and place them in cookies. Great for parties." 1. Preheat oven to 400 degrees F. Butter a cookie sheet. Write fortunes on strips of paper about 4 inches long and 1/2 inch wide. Generously grease 2 cookie sheets. 2. Mix the egg white and vanilla until foamy but not stiff. Sift the flour, salt, and sugar and blend into the egg white mixture. 3. Place teaspoonfuls of the batter at least 4 inches apart on one of the prepared cookie sheets. Tilt the sheet to move the batter into round shapes about 3 inches in diameter. Be careful to make batter as round and even as possible. Do not make too many, because the cookie have to be really hot to form them and once they cool it is too late. Start with 2 or 3 to a sheet and see how many you can do. 4. Bake for 5 minutes or until cookie has turned a golden colour 1/2 inch wide around the outer edge of the circle. The centre will remain pale. While one sheet is baking, prepare the other. 5. Remove from oven and quickly move cookie with a wide spatula and place upside down on a wooden board. Quickly place the fortune on the cookie, close to the middle and fold the cookie in half. Place the folded edge across the rim of a measuring cup and pull the pointed edges down, one on the inside of the cup and one on the outside. Place folded cookies into the cups of a muffin tin or egg carton to hold their shape until firm. Make it your New Year's Resolution to eat healthier with these tasty treats. Minestrone is a thick, hearty soup that usually contains vegetables, pasta and peas or beans. This version uses unsalted chicken broth and fresh tomatoes rather than canned tomatoes to limit the sodium content. In a large saucepan, heat the olive oil over medium heat. Add the onion, celery and carrots and sauté until softened, about 5 minutes. Add garlic and continue cooking for another minute. Stir in broth, tomatoes, spinach, beans and pasta. Bring to a boil over high heat. Reduce heat and simmer for 10 minutes. Add zucchini. Cover and cook for 5 minutes more. Duck breast is remarkably lean once skinned, and has much more flavour than chicken breast. Any breed of duck is fine in this dish. To make the marinade, In a blender or food processor, combine the lemon grass, green onions, garlic, ginger and cilantro and process until finely chopped. Add the curry powder, cumin, turmeric, cinnamon, cardamom, pepper, fish sauce and coconut milk and process to puree. Place the duck breasts in a large lock-top plastic bag. Add the marinade to the bag and seal, pressing out the excess air. Put the bag in a large, shallow dish and marinate in the refrigerator for at least 2 hours, preferably overnight, turning the bag occasionally. Preheat the oven to 400 F. Remove the duck breasts from the marinade and pat dry, reserving the marinade. Lightly coat a large, nonstick, ovenproof frying pan with cooking spray. Place the pan on the stove over medium-high heat until hot. Add the duck breasts and cook, turning once, until lightly browned on both sides, about 4 minutes total. Pour off any accumulated fat from the pan and immediately transfer the pan to the oven. Roast the duck until fairly firm when pressed in the middle and slightly pink inside and an instant-read thermometer reads 160 F. Transfer the duck breasts to a cutting board, cover with a kitchen towel, and let rest for 10 minutes. Meanwhile, place the pan over medium-high heat. Add the wine and de-glaze the pan, using a wooden spoon to scrape up any browned bits. Add the tomato and cook until tender, about 5 minutes. Add the reserved marinade and the stock. Bring to a boil, then reduce the heat to low and simmer until the sauce thickens, about 2 minutes. Remove from the heat. To serve, slice the duck breasts diagonally across the grain. Arrange on individual plates, fanning out the slices. Top the slices with the sauce and garnish with the mint. Raisins are often the fruit of choice in bread puddings, but in this classy version caramelized fresh pears are used both in and on top of the pudding. Serve it for dessert or feature it at breakfast or brunch. Preheat the oven to 350 F. Lightly coat a 9-inch square baking dish with cooking spray. Arrange the bread cubes in a single layer on a baking sheet. Bake until lightly toasted, about 5 minutes. Set aside. In a large, nonstick frying pan, melt 1 1/2 teaspoons of the butter over medium heat until frothy. Stir in 1 tablespoon of the canola oil. Add half of the pear slices to the pan and saute until evenly browned, about 10 minutes. Sprinkle a generous pinch of allspice onto the pears, then transfer them to a plate. Repeat with the remaining butter, oil, pears and allspice. Arrange half of the toasted bread cubes evenly in the bottom of the prepared baking dish. Top with half of the sauteed pears and then the remaining bread cubes. In a large bowl, combine the milk, eggs, 2 tablespoons of the sugar, the honey, vanilla, cinnamon and cloves. Whisk until well blended. Pour the milk mixture over the bread and cover with plastic wrap. Let stand for 20 to 30 minutes, pressing down gently every so often until the bread absorbs the milk mixture. Remove the plastic wrap and arrange the remaining pears on top. Sprinkle with the remaining 1 tablespoon sugar. 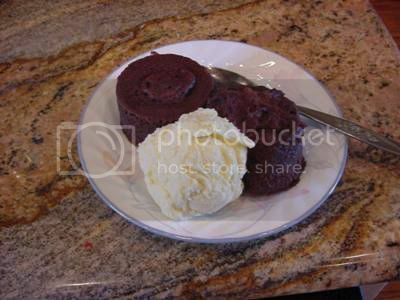 Bake until a knife inserted into the center of the pudding comes out clean, 45 to 55 minutes. Let cool for 10 minutes before serving. Traditional Christmas recipes that my mother and nonna still make. Buon Natale! This pasta is so popular that in Italy there are towns that have festivals honouring it. For example, a festival called the Sagra delle Pappardelle al cinghiale (Pappardelle with wild boar festival) in the city of Gemmano in the Emilia-Romagna Region is held every August. Soak porcini mushroom in water for at least 20 minutes, then strain mushrooms through a sieve and quickly rinse them off under cold running water to remove any remaining soil residue. Chop mushrooms and set aside. In a skillet, melt a little butter - make sure the skillet is large enough to hold cooked pasta. Add the porcini and sauté on medium heat for 5 minutes. Add white wine to taste. Meanwhile cook pasta till al dente, and when the pasta is just about done add the cream to mushroom mixture then add the cheese, the nutmeg to taste, salt and freshly ground pepper, stirring with a wooden spoon. Drain the pasta and add to mushroom-cream mixture. Toss well add seasoning and parsley to taste. Add more cream if pasta mixture seems too dry. Serve hot with grated Parmesan. In a buttered 1 1/2-quart casserole, combine seafood. In a medium saucepan, melt butter over medium-low heat; add mushrooms and cook until tender. Stir in flour until smooth and bubbly. Gradually add milk, stirring constantly. Continue to cook over low heat, stirring constantly, until thickened and bubbly. Stir in seasonings and wine. Gently stir sauce into seafood mixture. Sprinkle with Parmesan cheese. Bake at 350° for 20 minutes, then broil for a minute to brown top. Serve immediately. This recipe originated in the old Jewish ghetto of Rome, but has long since been adopted by the Eternal City at large, served as an appetiser or a contorno (side dish). These artichokes are also presented as part of a platter (as a main dish) called Fritto alla romana, which consists of various batter-fried vegetables and cod fish. Prepared artichokes as illustrated in the photo.Pour at least 2 inches of oil into a large frying pan and heat on a low-to-medium flame. Dry the artichokes well, add salt and pepper, and lay them in the pan, flat side down. Pressing each artichoke lightly with a pair of tongs, allow them to simmer (not fry) in the oil, gently stiring, for about 15 minutes, until tender. Check for tenderness by piercing one of the artichokes with a fork, if it's not tender, continue simmering in the oil. When the carciofi are tender, remove them from the oil onto a plate lined with paper towels. increase the flame to high and, using the tongs, place each artichoke with the stem pointing up in the hot oil. Now press the artichoke gently once again—it should open like a flower, brown, and crisp, 30-40 seconds. Remove the carciofi from the pan and place them stem up on paper towels to absorb the excess oil. Transfer to a platter and serve them very hot with lemon quarters. This traditional Christmas bread originated in Milan, but has become a world wide favorite. The stories of the origin of the light, fruity dough are as delightful as the bread itself. One story has a young baker giving credit to his love's father in order to win her hand. The father's name was Toni - so the bread became Toni's bread" or "pan ad Toni." Another version has Toni as a not very energetic baker whose sugar and raisins fell into the bread dough. Rather than starting again he just baked the dough with the spillage included and ended his lazy days when the crowds came back to get more of Toni's bread. Preheat oven to 220c degrees. Butter and flour an 8-inch tall round (panettone) cake pan. Many creative cooks use an empty large coffee can to get the roundness and height expected in a traditional panettone. Cream butter with eggs and yolks for about 3 to 4 minutes until the mixture is a pale yellow color. If you are using a mixer that has a dough hook, place it on the mixer and slowly mix in half of the flour. If you are going the traditional route, add the flour slowly while you hand mix the dough. The important thing is to mix the flour as you add it and not dump it at once into the mix. You won't get the right texture that way. Add half the milk and mix well. Add the remaining flour followed by the remainder of the milk and all of the sugar and mix until the batter is elastic - it should be slightly stringy. Spread out on to floured surface and sprinkle with currants, orange zest, cream of tartar and baking soda and knead for about 5 to 10 minutes. Place into the prepared pan and bake for 35 to 45 minutes, or until a toothpick inserted comes out dry. Remove from oven, invert on to a rack and allow to cool. Everlasting sweets for the lovers of true Sicilian tradition. Mix the ground almonds, icing sugar and lemon zest in a large bowl. Add the beaten egg and then using a fork or your fingers, bring the mixture together into a soft sticky dough. Dust your hands with icing sugar and then scoop out walnut sized lump of dough, gently shape and then roll it between your palms into a ball. Dust the ball with more icing sugar and then put it on a baking tray lined with 2 layer of greaseproof paper. Continue making the rest of the balls. The balls should be well spaced as they swell as they cook. Make an indentation into the centre of each ball so they cook evenly. Bake at 180° for about 20 minutes or when they are golden brown underneath and cracked, crisp and very pale gold on top. Allow to cool. They will keep in an airtight tin for up to a month. Peel the chestnuts and soak in cold water overnight. Drain and place in a saucepan with 150 cl of water, 2 tablespoons of olive oil and a pinch of salt, cook for 2 hours. In the meantime, fry the parsley and onion with the oil until golden. When the chestnuts have finished cooking, add the rice and keep stirring occasionally. When the rice is almost cooked, add the parsley and onion and cook until the rice is done. Bake about twenty chestnuts till they are tender, and then peel them and pound them in a mortar, with a little pepper and salt and butter, till they are a paste. Next cook the pasta and drain - put it in a stew-pan with the chestnuts and the butter to moisten it, stir it all together. If the mixture gets too dry, it can be moistened with a little milk or stock. After it has been stirred together for about a quarter of an hour, place it into a baking tray, cover it with a little Parmesan cheese, bake into a medium temperature oven till it is brown, and moisten the top when browned with a little melted butter. Peel the chestnuts, boil them in water adding a little salt. Once cooked, remove the skin and while they are still hot mash them with a potato masher. In a bowl, mix the 5 egg yolks with the sugar, then add the chestnuts, a glass of brandy and the egg whites. Pour the batter into a greased and floured cake tin and bake at 200 degrees for about 45 minutes. Remove from oven and decorate the cake with boiled chestnuts, peeled and powdered sugar. By Sabrina your local, personal, Italian cook. Mix the cheese, pumpkin, half teaspoon of salt and the nutmeg in a bowl. Set filling aside. Mix the flour and half teaspoon of salt in a large bowl, make a well in the centre of the flour. Beat the tomato paste, oil, and eggs until well blended, and pour into the well. Stir with a fork, gradually bring the flour mixture to the centre of the bowl until the dough makes a ball. If the dough is too dry, mix in up to 2 tablespoons water. Knead lightly on a floured cloth-covered surface, adding flour if dough is sticky until smooth and elastic, about 5 minutes. Cover, and rest for further 5 minutes. Divide the dough into 4 equal parts. Roll the dough, one part at a time, into a rectangle about 12 x 10 inches. Keep the rest of the dough covered while working. Drop 2 level teaspoons of filling onto half of the rectangle, about 1 1/2 inches apart in 2 rows of 4 mounds each. Moisten the edges of the dough, and the dough between the rows of pumpkin mixture with water. Fold the other half of the dough up over the pumpkin mixture, pressing the dough down around the pumpkin. Cut between the rows of filling to make tortelli. Press the edges together with a fork, or cut with a pastry wheel. Seal edges well. Repeat with the remaining dough and pumpkin filling. Place tortelli on towel. Let stand, turning once, until dry for about 30 minutes. Cook tortelli in plenty of boiling salted water until tender, drain carefully. Dress with a traditional sage and butter sauce. To make the sage butter, melt the butter in a frying pan over low heat. When it's hot and sizzling, add the sage and turn off the heat. Pour gently over the tortelli and serve hot. Steam the pumpkin until well cooked and mash it until it becomes a thick puree consistency. Add 1 egg and 2 yolks (but keep remaining whites), amaretto cookie, a pinch of nutmeg, 2 tablespoons of grated cheese, 1 teaspoon of yeast, the remaining whipped eggwhites and a pinch of salt. Stir well. Shape the mixture into croquettes or patties. In a non-stick pan, fry the croquettes turning them once until they are lightly brown on both sides (about 2 minutes per side). Serve hot with garnish. Heat butter and oil together in a large saucepan and gently cook the onion and garlic. Add the rice and cook, stirring until the rice is coated in the oil mix. Cook this for about 1 minute then stir in the pumpkin. Pour over 1 cup of the hot stock, cook, stirring often until the liquid is almost completely absorbed. You don't want the liquid to be boiling, just a gentle simmer. Continue stirring and adding stock one cup at a time until the stock is absorbed and the rice is tender. If you wish, you can replace some of the stock with white wine. This takes about 20 minutes. Stir in the parmesan cheese, seasoning and parsley. Serve immediately. Chop the pumpkin into small pieces and cook in the oven for 30 mins at 180°. Lay the pastry on a baking try and prick it with fork. Mash the pumpkin in a food processor, add the Parmesan, ricotta, eggs, salt and nutmeg. Mix well and then transfer the puree onto the puff pastry. Bake the pastry for about 40 minutes at 180°. If you want a stronger colour, brush the surface with beaten egg or egg yolk. Serve the pastry warm or hot. The origins of pesto are constantly debated but historical letters found in the archives of Genoa, Italy, mention a dressing called 'battuto d'aglio' (literally 'battered garlic') as early as the 16th century. Basil has been known to all the Mediterranean people since the age of the Romans, probably originating from the northern coasts of Africa. Traditionally pesto was prepared with a marble mortar and wooden pestel. This is still considered to be the best way of preparing pesto at home although thanks to modern kitchen equipment, very few still stick to this process. You can dress pretty much any food with this delicious sauce, from vegetable to meat, to fish to pasta. Place all the ingredients in a blender or food processor, blend gently and add extra salt and olive oil according to your preference of consistency and taste. Traditionally, pesto should have a similar consistency to whole-grain mustard when its used as a topping, and a little bit runnier when used to dress pasta. An easy and rewarding way to enjoy pesto is to simply smear it on a bit of toasted bread with a drizzle of olive oil and a crack of black pepper. If you feel a little more adventurous, you can slice Mozzarella cheese, place it on the bread, put it under the grill for a few minutes, dribble pesto, and cover with a few leaves of rocket salad just before serving. Rocket salad and pesto are a great accompaniment for most dishes. You can dress any type of pasta with fresh pesto. Boil the pasta, drain it and mix in with the pesto (1 large tablespoon of pesto per person) and an extra drizzle of olive oil, seasoning and grated Parmigiano cheese. Serve hot! You can serve pesto pasta hot or even cold. For a refreshing summery cold pasta salad, boil pasta and leave it to cool before you mix it with the pesto, diced Mozzarella cheese, cherry tomatoes, olive oil and rocket salad - keep in the fridge for a couple of hours and serve. For a healthier approach to preparing fish or chicken, grill a fillet of salmon, tuna, swordfish or chicken breast and top it with rich homemade pesto and olive oil. Serve with some seasonal roasted vegetables. It's really that easy. Important - Don't cook the pesto in pasta dishes! It's a common instinct to heat pesto but this reduces it's capacity to add the fresh, intense herby flavours to the dish. If you want to warm up the pesto, simply add a tablepoon of boiling water and serve immediately. Storing - If you make large quantities, you can store it in the freezer for up to 6 weeks. Whether they're fresh, frozen, or canned, tomatoes' biggest selling point is lycopene, a carotenoid associated with lower risk of both macular degeneration and several types of cancers. Here are a few delicious recipes to get the most from this vine-ripened gem. Don't bother making this dish unless you have the most delicious, perfectly ripe and juicy tomatoes; its success depends almost exclusively on this one ingredient. The pasta will catch all the delicious juices. Orecchiette seems to do it the best, but farfalle, fusilli, and penne also work well. 1. In a large frying pan, heat the oil over a medium heat. Add the garlic and fry until it begins to turn gold, about 1 minute. 2. Increase the heat to medium-high and add the tomatoes and thyme. Cook, stirring gently, until the skin begins to loosen from the tomatoes, about 2 minutes. Add the wine and cook 1 minute more. Add the chicken stock and simmer about 2 minutes. Season with salt and pepper. 3. Remove the thyme and ladle the tomatoes into serving bowls. Garnish with the basil leaves and pasta. The juice from the tomatoes creates a sauce that can be spooned over this seared tuna dish. 1. In a 12-inch skillet, heat 1 1/2 tablespoons oil over medium-high heat. Season tuna generously with salt and pepper. Arrange half of tuna in skillet in a single layer to prevent crowding. Cook, turning once, until golden brown on top and bottom, about 1 1/2 minutes per side (3 minutes total). Tuna should be slightly pink inside. Transfer to a platter. Cover to keep warm. Repeat the cooking with second batch. Serve this chilly tomato treat alongside a cold soup or gazpacho. Tomato ice can be stored in an airtight container in the freezer for up to two weeks. Ice will harden when frozen; you will need to let it sit at room temperature before scooping. Enjoy the authentic tastes of Italian home cooking in the comfort of your own home with Sabrina's services either as your personal cook or tutor. All dishes use as much locally sourced produce as possible and celebrate the best of seafood and vegetarian recipes. All the treats of a restaurant without leaving your house plus the chance of learning to cook it yourself. "I come from a line of passionate Italian cooks and enjoyed a culinary education covering dishes from the contemporary classics of the north to country-style cooking of the south. It's a blend that has helped me appreciate the breadth of Italian cuisine and I'm happiest when cooking for others. My biggest inspirations have always been my grandparents, where my grandad was the chief menu-maker and my nan the expert cook. The list of my grandad's all-time favourites are what my whole family still enjoy today. Dinners were - as was the case for many Italian families - a loud and joyous event. If the converstation wasn't about what we were eating at that moment, it probably meant we were talking about what we'd be eating later! Whenever I ate something that amazed me (which was pretty often) I just had to know how it was made, and my nan was always more than happy to share her knowledge. My Mum has always been big 'foodie' influence too with her love of southern Italian cuisine. More recently I ran a small 'agriturismo' (rural B&B) in Tuscany where I provided fresh, home-cooked meals to my guests. It was a great experience and it confirmed how much I enjoyed cooking for others. My wish is that you feel as happy eating my cooking as much as I enjoy making it." Boil water and cook pasta for 1 minute less then the recommended time. In a large saucepan, sautee the garlic and chilli flakes in olive oil on low heat until lightly golden. Add chopped olives, chopped tomatoes and seasoning, cook on medium heat for around 10 minutes. Sprinkle boiling water from the pasta pot or a little white wine if the sauce gets too dry. When the pasta is ready, drain, but save 1 cup of the water. Add the pasta to the sauce, add the fresh basil or parsley and cook together for 2 minutes, if needed, sprinkle some of the saved water to make sure the pasta does not get too dry. Top with parmigiano and serve immediately. Buon appetito! Crisp lettuce leaves make a crunchy and refreshing wrapper for the fruity chicken mixture. 1. Heat 1 tablespoon of oil in a large frying pan over medium high heat. Add ginger and chicken and saute until cooked through, about 7 to 10 minutes. Set aside. 2. In a large bowl, whisk together the remaining 1 tablespoon of oil, vinegar, teriyaki sauce and honey until mixed together. Add chicken mixture, cherries, carrot, spring onion and almonds, toss together. 3. To serve: spoon 1/12 of the chicken / cherry mixture onto the centre of each lettuce leaf, roll up leaf around filling and serve. In a saucepan, cook cherries in water for 10 minutes. Mix together the sugar and cornstarch; add to cherries. Cook cherry mixture until thickened. Cool slightly before using to fill pie shell or other dessert. Preparation: In a medium mixing bowl, beat together softened cream cheese and sugar until light and fluffy. Fold in whipped cream and blend until mixture is smooth. Spread on to the crust and spoon pie filling over top. Cover with plastic wrap and chill 2 hours before serving. 1 can Cherry pie filling. 1. Mix the sour cream and brown sugar; set aside. 2. In a seperate bowl, combine the pancake mix, egg and milk. 3. Heat and oil a 6" skillet. Fry 2 tablespoons of pancake mixture at a time until light browned on both sides. 4. Fill each crepe with some of the sour cream mixture and roll. 5. Place each crepe seam side down in baking dish. Pour the cherry pie filling over. 6. Bake at 350 F for 5 minutes. Black cherry juice. Black cherries, with stems. 1. Wet the rim of 2 champagne glasses with water, then turn each glass upside down and dip gently in a saucer of sugar. 2. Pour 1/3 of chilled cherry juice and top each glass up with the champagne. Clean and slice the cabbage thinly. Chop the onions. Peel, core and finely chop apples. Chop the bacon into small pieces. Peel the potatoes and cut each one into 8 pieces. Pour a few tablespoons of olive oil into a large pot. Heat the pot on stove. Sauté the onions. Then, add the cabbage, apples and bacon and stir. Cook over medium heat for about 5 minutes. Add the vinegar, bay leaf, salt and pepper. Continue to cook for another 5 minutes, stirring often. Preheat oven to 350 degrees. Pour in 1 cup of water and stir. Cover the pot very tightly and place covered pot in the oven and bake for 2 hours. After 1 hour, remove from oven, add the potatoes, stir and cover again. Return to the oven immediately. Continue to bake for 1 more hour. Serve with sausage or roast pork or beef and rustic-style bread. Wrap the two medallions of monkfish in the sole fillets. Steam until cooked. Boil the snails in salted water and then clean them. Fill the shells with the snail and "all i oli" sauce, and cook au gratin in the oven. Cook the medallions au gratin with the "all i oli" sauce. Boil the king prawns, and then peel them without removing the heads. Sauté them and arrange on a plate. Decorate as you wish on a bed of seafood sauce (olive, onion, tomato and garlic sauce). Cook the snails and scoop them out the shells. Fry the king prawns, and make a sauce with the rest of the ingredients, adding 50 g dairy cream. Leave until a creamy sauce is obtained and arrange on a plate. Note: The dish must be cooked au gratin at a very low temperature as it has already been cooked. 1/4 litre orange juice, juice of 1/2 lemon, grated orange rind, 125 g sugar, 10 g gelatine, 1/2 glass Grand-Marnier, 400 g liquid cream. Grate the rind of 3 or 4 oranges and squeeze the oranges until you have 1/4 litre of orange juice. Put the grated rind, orange juice, lemon juice and sugar in a pan and boil. When boiling, add the previously moistened gelatine. Sieve, add the lemon and cool. Place over crushed ice and stir. When it begins to set, remove the ice and mix with whipped cream. Pour the mixture into a previously moistened mould sprinkled with icing sugar. Leave in the fridge for 2 to 3 hours until completely set. Finally, turn it out of the mould and decorate with gelatine, slices of orange and whipped cream. 2 cups of fresh lemon juice. Preparation Instructions: In a double boiler, over medium heat, whisk together the lemon juice, sugar and egg yolks. Cook the curd for about 10 minutes, stirring constantly. Remove from the heat and allow to cool. Directions: Wash the lemons thoroughly - scrub them clean of all residue. Grate the skins being careful not to get any of the white lemon “pith” as it is bitter. Put the peels into a large, open-mouth jar with the alcohol and seal the lid tightly. Put the date on the bottle. Put the jar in a cool, dry place for one week - once a day, shake the contents well to remix everything. You’ll notice the colour of the liquid changing to yellow and the colour of the lemon peels fading. One week later, dissolve the sugar completely in water by heating it on the stove. Then cool the sugar-water mixture to room temperature. Strain the lemon peels out of the alcohol and then mix the alcohol with the sugar-water. Usually the colour of the alcohol changes from clear yellow to cloudy yellow when it’s combined with the sugar-water. Bottle & store in the freezer. If the limoncello is kept “frozen” until serving it becomes deliciously syrupy. 1. Heat the olive oil in a large saucepan then add the meat and brown on all sides. 2. Sprinkle the flour evenly over the meat and cook, stirring for 1 minute. 3. Add the wine, stir then add the garlic, onions, tomatoes, carrot and celery and mix well before stirring in the stock, grated chocolate, cinnamon, salt and pepper. 4. Turn the heat to low, cover the pan and simmer for about 1½ hours until the meat is very tender stirring from time to time. -This Easter cake was enriched with marzipan and decorated with 11 marzipan balls representing the 12 apostles minus Judas, who betrayed Christ. 1. Preheat oven to 180C/350F/Gas 4/fan oven 160C. Butter an 18cm/7in deep round cake tin; line the base. Melt the chocolate in a bowl over a pan of simmering water. 2. Beat the sugar and butter until light and fluffy. Beat in the yolks, one at a time. Stir in the almonds and chocolate. 3. Whisk the egg whites in a bowl until stiff peaks form. Fold a quarter of the egg white into the chocolate mixture, then sift in a quarter of the flour and baking powder. Repeat three more times until the egg white and flour is evenly mixed in. 4. Pour the mixture into the tin. Bake for 35-40 minutes until risen and firm. Cool for five minutes, turn out on to a wire rack, peel off the paper and cool completely. 5. Make the almond paste: put the caster sugar and almonds in a bowl and sift in the icing sugar. Mix well, add the extract and egg; mix to form a stiff paste. Knead briefly on a surface dusted with icing sugar, then cut off a quarter of the paste and divide into 12. Return one piece to the main lump of paste and shape the other 11 into balls. Leave on a plate to dry slightly. 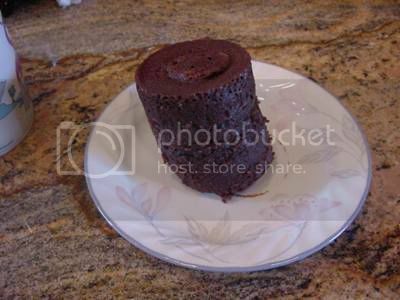 Roll out the remaining paste to the size of the cake, trimming to a neat round using the tin as a template. 6. Warm the jam and two tbsp of water in a pan, then press through a sieve into a bowl. Split the cake in half, putting one on a serving plate. Brush with jam. Cover with the paste round and brush with jam. Top with the other cake half. Brush the cake top and sides with jam. 7. Make the icing: put the chocolate and cream in a bowl. 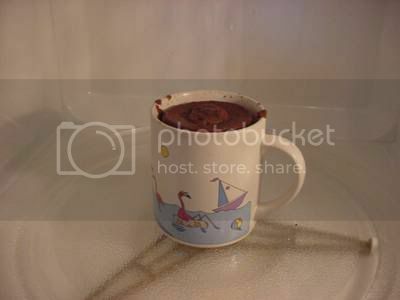 Microwave on Medium for one to two minutes to melt the chocolate; stir. Cool, then chill for 40 minutes, stirring occasionally, until thick enough to spread. Spread over the cake top and sides with a palette knife. Leave to set. 8. Wedge the orange into a tumbler. Melt the white chocolate in a bowl, as before. Spear a ball of paste with a cocktail stick and dip into the chocolate, turning it to coat, then hold it over the bowl for a few seconds until a point forms. Flip the ball and stick into the orange. Repeat with the remaining balls; leave to set. 9. Melt the dark chocolate. Using the tip of a tsp, drizzle lines back and forth over the chocolate balls. Leave to set. Re-melt a little leftover chocolate and use to attach the balls to the cake. -Orange flan is a variation of the traditional Spanish flan, a vanilla custard topped with caramel sauce. This variation is lighter, but has an intense orange flavor that refreshes the palate as well as satisfying a sweet tooth. It is a simple custard recipe that can be made ahead of time and makes an elegant finish to any dinner or celebration, like Mother’s Day. Serves 6 individual servings in ramekins. Put a saucepan over medium heat for 30 seconds. Add 1/2 cup sugar and 1/2 cup orange juice. With the wooden spoon, keep stirring sugar and juice mixture constantly in pan until sauce is reduced and thickened. It should be a rich medium brown color (caramelized). This will take 3-5 minutes or so on medium to low heat. Remove from heat and quickly spoon caramelized sugar sauce into each of the 6 ramekins or large dish. (If you wait, sugar will cool and harden.) Set aside. Grate peel of half of a large orange and half of a lemon into a mixing bowl. Pour about 1/2-inch of warm water into a 9” x 13” baking dish for boiling water bath if using ramekins. If using one large open baking dish, be sure that the dish is tall enough to accommodate the water necessary to cover 3/4 or the height of the dish. Add 1/2 cup orange juice, the half-and-half and citrus zest to a heavy-bottomed saucepan and stir. Scald 2 cups of half-and-half in the saucepan and remove from heat. Keep a close eye on the pan, so the cream does not boil over. Meanwhile in a medium mixing bowl, beat slightly 3 eggs. Mix in 1/4 cup sugar. Stirring constantly, gradually add hot cream to egg yolk mixture. Stir until the sugar is dissolved. Pour the mixture slowly into another mixing bowl, straining it using the cheesecloth to line the strainer. This should catch all the citrus zest. Discard cheesecloth. Place each of the ramekins in the baking dish with water. If water level does not reach 3/4 of the way up the sides of the ramekins, carefully pour more water in. Bake uncovered in water bath at 160 degrees for 50-60 minutes, or until a knife comes out clean when inserted half way between center and the edge of dish. Carefully remove each ramekin from the water bath. Set on a cooling rack until lukewarm, then chill flan thoroughly in refrigerator - at least 1 hour. When ready to serve, un-mold by running a knife around the inside edge of baking dish. Place a small dessert plate on the top of the ramekin. With one hand under the ramekin and the other on top of the place, turn over. Tap the ramekin and the flan should drop onto the plate. If it does not, carefully “prod” the flan out of the ramekin with a small paring knife. It should slide out of the ramekin onto the plate and the sauce will surround it. Garnish with orange peel or a slice of orange, if desired. Decorate the cake with pieces of mandarin and chocolate shavings as desired. 5. Spoon the asparagus mixture into the centre of two plates and top each with a pastry heart. Garnish and serve. Sweetheart Valentine's Cake. A luxurious moist cake. For Valentine's Day make it in a heart shaped tin and decorate with whipped cream and walnuts. - Sift the flour and baking powder into a mixing bowl. Add the Demerara sugar. - In another basin add the egg yolks to the oil. 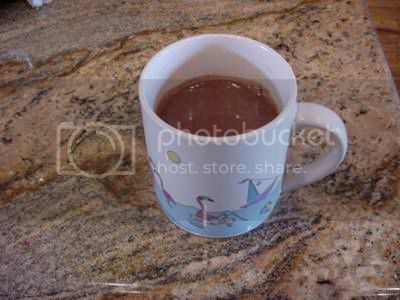 - In a cup dissolve 2 level tablespoons of the coffee in the boiling water. Add the milk to the dissolved coffee. Add the milk and coffee mix to the egg mixture. - Whisk well to mix. - Make a well in the middle of the flour, baking powder and Demerara sugar mix. - Pour in the milk, coffee and egg mixture. - Beat until smooth. Fold in the stiffly whisked egg whites. - Pour into a heart shaped tin lined with baking parchment. - Bake for 30 minutes at 180 degrees C.
- Reduce heat to 170 degrees C. and continue baking for a further 15 minutes or until the cake feels springy and firm to the touch. - Remove the cake from tin and leave to cool on a wire rack. - Put the granulated sugar and 1/2 pint of water into a saucepan. Bring to the boil making sure the sugar is dissolved. - Boil for 5 minutes to make a syrup. - Mix the remaining coffee with 2 tablespoons of Tia Maria.and add to the hot syrup. - Put the cake on a large plate. - Make some holes in the top of the cake with a skewer and pour the Tia Maria mix over the cake. Leave overnight. Decorate with whipped cream and whole walnuts. Tip: save buying a heart shape tin make a square and round one as shown. First, in a pan and with the olive oil, slightly fry the whole garlic cloves until brown, then add the fresh ground pepper and the sweet red pepper so they are mixed with the olive oil. Then, cook the aubergines in boiling water, adding the contents of the pan, one laurel leaf, a tbsp. of vinegar and a little wild marjoram. Let them boil gently, taking care that the aubergines do not break. They can be kept in this sauce indefinitely. Serve cold. Peel the potatoes and cut them into small pieces, then fry, on a low heat. Once cooked, drain the potatoes. Make the tomato sauce: Add a spoon of oil to the pan and then fry the deseeded and peeled tomatoes, mashing it. When cooked, add a few drops of vinegar, a teaspoon of flour and another teaspoon of spicy ground pepper and stir well to mix everything. Season and pour over the potatoes. Roast red peppers, tomato, garlic and two spring onions. Cool and peel. Cut them in long slices and add oil and vinegar to taste. Peel and clean artichokes. Fry them and the garlic in deep oil at medium heat. Avoid boiling. When tender, drain them on kitchen paper. Fry eggs and pour some chopped spring onion, vinegar, paprika and salt. Prepare each dish with some artichokes, some vegetable stew and two fried eggs. Melt the 2 tbsp of oil and the butter in a pot and then over a low flame, add the flour, mixing well with a wooden spoon to form a roux. When the roux turns yellows slowly add the cold milk (always stirring), a little salt and a pinch of nutmeg. Let everything thicken over a low heat, stirring constantly with the wooden spoon to avoid lumps. Continue stirring until the roux leaves the sides of the pot (nowadays, cooks use hand mixers or beaters). While stirring add the pieces of ham to the roux, mix well. Let it stand at least 2 hours until it cools. Once the roux is cold, make the croquettes using a tablespoon per portion from the pot and shape it with your hands. Coat each croquette with the bread crumbs, then dip into the beaten eggs and again into the bread crumbs and fry them in very hot and deep oil (6 pieces at a time) until golden. This is true orange growing country, and so the recipe is based on fresh orange juice, which is best. And beware, this innocuous-sounding drink is strong! Put some ice cubes into a large jug and pour over lots of orange juice. Now add the bottle of cava. Once the fizz subsides, stir in a good dash of the cointreau and it's ready to serve. Put the "chufas" in a bowl of water for 12 hours. In another bowl put the lemon peel, the sugar, the water and the drained "chufas". Mix all together with the electric whisk and put the bowl in the refrigerator for 2-3 hours, then, drain all with a thin sieve, and you have the "horchata" ready..
You need a huge flameproof earthenware casserole dish for this. Pour in all the liqueur, about two-thirds of the sugar and the lemon peel. Stir well, bring to the boil and allow to bubble for about 15 minutes. Take a tablespoon of the reserved sugar in a large serving spoon and take up some of the hot liquor from the pot. Set fire to the spoon, holding it over the pot (careful - wear an oven glove! ), and when the sugar begins to bubble, lower it into the casserole, which will ignite. Repeat this another couple of times. The longer this burns, the more alcohol with disappear... Ladle into small earthenware mugs to serve. Pour in that order in a Cordial or Shooter glass and flame it, (ignite the Sambuca with a match). Note: This shooter is sometimes called a "Flaming Christmas Tree". Having seen flaming shooters go horribly wrong I strongly suggest that you enjoy this shooter by blowing out the flame soon after you serve it or without flame. 1. Place the horseradish, shallot, two sticks of celery, chopped tomatoes, celery salt, worcestershire sauce, Tabasco, black pepper and lemon juice into a liquidiser and blend thoroughly until smooth. If time allows place this base mixture in the fridge for 2-3 hours to chill and for the flavours to develop. Strain through a sieve with a metal spoon. Stir in the tomato juice, vodka and sherry. 2. Just before serving the soup make the horseradish cream. Place the crème fraîche into a bowl and stir in the horseradish and lemon juice. Season to taste. 3. Divide the red onions, diced celery and tomatoes between four chilled glass serving bowls. 2. Add the milk and butter to a saucepan and heat. Add 2 tbsp of freshly grated horseradish root to the hot milk and butter then infuse with a lid on for about half an hour. Do this in a separate pan just after the potatoes have gone on, and by the time they are cooked the horseradish flavour will be fully infused. 3. When the potatoes are thoroughly cooked, drain them in a colander and leave them to steam until just cooked enough to handle. Then the skins are easilly peeled off with your fingers. 4. Break up the potatoes roughly with a fork to allow more moisture to steam off. 5. After a couple of minutes more steaming, the potatoes can then be sieved into the pan of bubbling hot milk and butter, or eveborated cream and butter and whisk until smooth. 6. Taste and carefully adjust the seasoning again before serving. Heat a heavy saute pan and pour in the olive oil. When the oil is hot, add the onions and cook over low heat until they turn soft and golden brown, about 20 minutes. Stir in the garlic and cook until it begins to colour slightly, about 5 minutes. Add the tomatoes and cook slowly until they begin to blend with the onions, about 20 minutes. Add the parsley and sage and cook for another 10 minutes. Add salt and pepper to taste. Heat oil in large pot. When the oil is hot, add the onions. Season with salt and pepper. Saute until soft, about 6 minutes. Add the garlic and aubergines. Season with salt and pepper. Saute until soft, about 4 to 6 minutes. Add the courgettes, tomatoes, and peppers. Season with salt and pepper. Bring to a simmer and cook until the liquid has evaporated and the vegetables are very soft, about 30 minutes. Taste and season if necessary. Using a mortar and pestle or a spice mill or a food processor, grind the garlic, nuts and bread together. Add the parsley and mash until incorporated. Add in enough oil to the mixture to form a thick paste. Season with salt and pepper. Olive oil, aromatic herbs, dried fruit, wild mushrooms and game from the Pyrenees, the trinity of olives, grapes and wheat from the hilly heartland, all manner of fruits, vegetables, and nuts from the irrigated lowlands, rice and eels from the river deltas, and a great variety of fish and shellfish are the basis of a cuisine which is one of the happiest expressions of the Mediterranean diet. One of the simplest and yet most delicious dishes is "pa amb tomaquet": a large slice of fresh country bread (toasted or not) rubbed with tomato and drizzled with virgin olive oil. It may be topped with Iberian ham, cheese and anchovies or served along with meat, chicken or fish "a la brasa" (cooked over a charcoal fire). In an electric blender or food processor, combine half each of the tomatoes, onions, cucumber, bell pepper, and pimiento with enough of the tomato juice to facilitate blending. Blend at high speed for at least 30 seconds to thoroughly mix the raw vegetables. In a large mixing bowl, combine the mixed vegetables with the remaining tomato juice and chill for at least 2 hours. You may also elect to chill the serving bowls at this time. Meanwhile make the croutons. Rub the interior of a skillet with the garlic clove, and add the olive oil. In the skillet, sauté the bread cubes over a medium heat until golden brown. Set aside until serving time. Chop the remaining tomatoes, onions, cucumber, bell pepper, and pimiento, and combine in a small mixing bowl while adding the red wine vinegar, Tabasco sauce, salt, and pepper. Thoroughly combine all ingredients and marinate at room temperature until serving time; or refrigerate if you won't be serving the Gazpacho within an hour. Sangria is the most famous Spanish drink made with red wine, fruit juice, sparkling soft drinks, sugar and fruit chunks. Sometimes liqueurs are added, as well as cinnamon. It is hard to find two sangrias that taste the same, since there is no one-single recipe for it. For sangria to be good, it is necessary to use good wine (bad wine makes bad sangria), to serve it fresh, and to achieve a fruity flavour that is not overdone (the best fruits for it are citruses and peach). It is important to remember that sangria is an alcoholic beverage, and although is very easy on the palate, it should be drank moderately. Put all the fruit pieces into a large jug, then pour over a generous amount of the banana liqueur, cointreau and brandy. Pour in the bottle of wine, and leave in the fridge to chill. Once this is really cold, pour in the fizzy drinks and add the cinnamon and sugar. Mix in some ice cubes and it's ready to serve. Mix wine, lemonade concentrate and brandy together in large glass pitcher. Squeeze juice from each slice of fruit into wine mixture before dropping fruit in. Toss in cherries and chill. Just before serving, add 7up. Pour into chilled glasses and enjoy. Don't forget to eat the fruit- especially the cherries- yum. In a large pitcher, mix together the first 4 ingredients. Cover and refrigerate for several hours or overnight. Just before serving, add the club soda and plenty of ice cubes. Serve very cold garnished with a slice of fruit. Note: if using a punch bowl, float the various fruit on top. Ideal chutney for those BBQ's on hot summer days! They would like to emphasize it is not just a fishing lodge with comfortable rooms and chalets but a purpose built complex with a relaxing cafe bar with sky TV, dining room with English menus and pool table. They will be organising regular social events including a regular disco night starting on 9th April *aiming for every 2nd Friday of the month. Also a summer fete, BBQ'S and many activities for all the family with fun things to do in spacious tranquil surroundings. Plus you will be glad to hear Sunday Roasts are back with all the trimmings so remember to book early to avoid disappointment. Riverside Lodge is situated on the banks of the famous River Ebro amongst some of Spain's most stunning scenery in an area of outstanding natural beauty. Overlooking the Ebro between the dam upstream and the Flix dam downstream this section of river is just alive with fish. Directions: Junction 38 from the AP7 is the one you require. Follow the C44 and then the C12 to Flix. Take the left turn to Riba Roja in Flix and follow the road to the second roundabout. Take the first exit of the roundabout over the river bridge and first left at the other side of the bridge down the narrow tarmac road until you see the sign for Riverside Lodge entrance. Sant Jordi d'Alfarma is a secluded spot hidden away between L'Ametlla and Calafat. You can find it by turning off the N340 opposite the ceramic museum into the urbanisation Sant Jordi d'Alfarma. Continue under the bridge towards the sea and follow the signs for Club Nautico. Overlooking this idyllic beautiful marina you will find this family run Swiss restaurant and bar where you can dine inside or out on the terrace or just chill out during Happy Hour by the pool. Raymondo and his team invite you to come and enjoy the most natural marina in Catalunya day or evening. Plus try something different with the poolside Flea market on June 14th or just come along for one of the special evenings being organised this month. Don't forget to book to avoid disappointment! Bar Estacion is situated next to the railway station in Placa Francesc in L' Ampolla a short walk from most amenities and the beachfront. A Family run bar offering delicious home made food available most evenings and throughout the day served in a relaxing atmosphere and very reasonably priced. Jan and Dave have over 30 years experience in the licensed trade back in the UK and hope to combine a little of English and Spanish in all aspects of the bar. Firstly have you tried Cherry Schnapps? Now okay this isn't true schnapps. But it is a delicious boozy dessert and cherry liqueur made with simple ingredients. Plus there isn't an awful lot for you to do, to make it. Wash the cherries then pack into sterilised jars. Spoon over the sugar (equally between jars). Fill the jars with vodka, seal and store somewhere cool and dark. Leave for one month before using, shaking the jars weekly to dissolve the sugar. The fruit is delicious (but boozy) served with a rich chocolate cake or ice cream. The cherry schnapps is a tasty liqueur served over lots of ice. Now for those of you with less of an affinity for alcohol, may I suggest a Lebanese Cherry Preserve? The result is not so much a jam, but cherries suspended in their own slightly thickened juice. It makes a great addition to marinades, wine gravies, on crumpets or poured over chocolate desserts, cream, heck whatever its tasty and simple! Layer clean, dry cherries with sugar in a glass bowl and leave overnight. Then slowly heat the cherries and cinnamon in their own liquid. Simmer gently (stirring occasionally) till soft for about 20 minutes then add the lemon juice. Once the cherries are cooked, you need to see if the sauce is how you want it. If you would prefer it thicker, remove the cherries and simmer the juice for longer. Pour the cherry preserve into sterilised jars, seal and store somewhere cool and dark for up to a year. The author writes about gardening, preserving and rural life at a Catalan Garden. In this part of the world Nov to March brings oranges, oranges, oranges. They are everywhere. People open up their basements just to sell them because there are so many. Truckers screech to a halt in front of you to purchase a net of oranges from the road-side stalls that are only open this time of year (does anyone know why lorry drivers here seem so obsessed with oranges?). And, best of all, people give them away. Offers such as 'help yourself to as many as you like', and 'have you been to the orange grove yet? please do and pick lots', 'have some lemons too', are everywhere. We have bravely planted citrus trees in a sheltered spot but have yet to see any mandarin or orange action yet. We do though, know a couple with the most fabulous navel orange tree. It is spectacular, covered in perfect juicy fruit. At the end of December we had some pretty insane wind and the tree lost a lot of its fruit. That's where we come in - the couple gave us a crate of oranges. We've juiced many as the juice really is heavenly - tart but sweet enough to cope with even early in the morning! However a crate of oranges is too many. Each year I investigate new ways of preserving them and have come up trumps with a variation on Lime Pickle. You've guessed it (well maybe) I've made Orange Pickle inspired by the Punjab! I've just made another batch, which prompted me to pass the recipe on to you. If you are also lucky enough to have too many oranges to deal with at the moment give this a whirl! Firstly soak the oranges in a bowl of water for 12 hours. Then drain, dry and top & tail the oranges. Now slice them into 1/2 cm rounds. Put the slices and the salt into a glass bowl and mix well. The next day grind the whole spices and put in a pan with the liquid produced and the sugar. Bring this to the boil, stirring to dissolve the sugar and boil for one minute. Remove from the heat and stir in the chilli powder and leave to cool. When the mixture is cool stir in the oranges and pack into sterilised jars adding a chilli or two to the jars as you go. Poke the mixture with a spoon to get rid of any air pockets, seal and leave somewhere warm like a sunny windowsill for four or five days. After four weeks in storage - somewhere dark, your orange pickle will be ready. Use this, as you would lime pickle, as a spicy condiment or spread onto fish or spare ribs before baking. Yum, and it means you don't have to keep drinking gallons of orange juice! Give it a go if you're also inundated with offers of free oranges, or just feel like preserving something from the shops. As its all orangey it will make a great home-made gift idea for Christmas 2009 and as it will keep for up to 2 years unopened maybe 2010 too! Visit me at www.catalangarden.com for more information on vegetable gardening, preserving and rural living in Catalunya. Clean the monkfish and cut into chunks. In a casserole dish, fry the garlic, parsley and the monkfish for a minute. Remove the monkfish and leave to the side. Prepare a lightly fry with the oil the peppers, tomato and the onion. Add the rice and fry a little. Then add the red pimiento, saffron and the fish broth (a portion of rice for 3 portions of broth). Bring to the boil and continue cooking in a low heat. 5 minutes later, add the monkfish, the bay prawns and the clams. Add some salt to taste. Continue cooking for about 5 or 6 minutes until the rice is done. Lightly fry the garlic, parsley and tomato. Then add pimiento and the flour and remove from heat. Add the wine and water. When it starts to boil, add the eels, previously cut in chunks and salted; The water should not cover the eels completely. Leave them to cook until they are tender and at their best. You can add onion. Instead of water, you can use fish broth/stock. If you have big eels. It is better to fry them before cooking. Pour a generous amount of water into a large, deep pan. Slice the fish, leeks and onion, adding them to the pan along with the shellfish. Tie together the bunches of parsley and add them to the pan with the bay leaves, leaving them to cook for15-20 minutes. In another pan crush the garlic and fry. Add the saffron, tomato sauce and the rice. Bit by bit add the stock you have made (double the quantity of stock to the rice you have added) and leave to cook for 15minutes. Take the pan off the heat, cover it with a cloth and leave it a while. Hotel Flamingo has a restaurant, bar, garden and open terrace. There is also an outdoor swimming-pool and an indoor swimming pool with sauna and solarium. The Club del Mar is also open to non-residents of the hotel for only... 15€ monthly. It includes the unlimited use of the heated swimming pool and sauna. Opening times: Monday through Friday, 9 to 21 hours. It is the first independently powered hotel in Spain. In 2005 when it was opened it was given the Eurosolar 2005 award (European Association for biomass), so pioneering the alternative & renewable energy sources in the hotel industry. One of the most important advantages is, without doubt, this resulting respect for nature and its resources. Remember the Restaurant del Mar as well as this stylish modern hotel is open for guests and the public all year. Ideal for a special night out with the option to pamper yourself with an overnight stay in this luxury hotel or to accommodate those extra guests over christmas and the new year. Rúcula salad sprinkled with parmesan. Pumpkin soup with beans and mushrooms. Fried artichokes cooked with prawns. Steamed mussels with a touch of lemon. Escalibada, traditional cold vegetable salad with anchovies. Carpaccio of cod made ‘Flamingo’ style. Fish soup with prawns cooked in butter. Hake cooked in sider with fresh clams. Cod baked with caramalized ‘All i oli’. Pork filets cooked with roquefort cheese. Entrecotte of veal with fried mushrooms. Monkfish kebab wrapped with bacon, peppers and prawns. Traditional spanish paella ( min 2 persons ). Fresh fruit salad in fruti juice. Medal of vanilla and chocolate icecream coated in honey nuts. Sweet milk flavoured icecream in a chocolate boat. for only 20€ per person VAT included. Sweet cherries are great just eating them as they are. However, we picked so much cherries that I have to bake something with them. I found this recipe which uses sweet cherries. It’s a pudding cake. This pudding cake is so juicy that juices over run onto my oven. So, if you would like to attempt this recipe, use a bigger pan or put an aluminium foil lined baking sheet below your pan to catch the juices. 1.Place pitted cherries in the bottom of a buttered 9 inch square or 10 inch round cake pan or baking dish. I used a 7 x 11 baking dish (perhaps that’s the reason the juices overrun). 2.Combine flour, baking powder, salt and half of the sugar in a mixing bowl. 3.Add milk, melted butter and vanilla. Beat until smooth. 4.Spread batter over cherries evenly. 5.Combine the remaining sugar and cornstarch in a small bowl. 6.Sprinkle sugar and cornstarch mixture over the batter. Pour the boiling water gently over the mixture. 7.Bake in a 350F preheated oven for 45 minutes or until a tester comes out clean when inserted in the center. This Cherry Pudding Cake is great for breakfast or snack at tea break. You will have a pleasant surprise hidden in a back street of L’Ametlla de Mar when you find the new Cocktail Bar and Restaurant ZiDali’s. The family felt that the village needed something different and took over 6 months until they found the ideal premises. They wanted something that could offer comfort and style with a personalised décor and welcoming ambience. Kelley has managed to achieve this by utilising her textile artistic background and also keeping the local theme with photos on the walls from a local artist. The restaurant is a little difficult to find and looks deceptively small from the outside. Inside you will find a roomy bar area where you can sip an elaborate cocktail or a more traditional drink with a tapa or meal. There is a separate A La Carte restaurant where you can dine in style. Surprisingly there is a wonderful outside courtyard where you can sit amongst the fresh herbs that they use in their home cooking. ZiDali’s is fortunate to have two chefs. Kelley whose contemporary style and experience comes from London and Brighton restaurants as well as 2 years here in Miami Platja at Carpe Diem and an Italian restaurant. Tarek has been here for 6 months and is a experienced chef from restaurants in London and has a classical approach to his menus. The 2 chefs in the family truly complement each other to provide a diverse A La Carte menu as well as traditional tapas, home-made Burgers and set menus. There are 2 lunch time menus for 8€ or 10€ which include home-made deserts. There is also a daily evening menu for 18€. The wine list was personally picked by the family so they can help you to find a wine that suits your pallet. They are open Tuesday to Sunday 10.00-15.30 and 19.00-22.30 which will be extended during summer months. Priorato is situated to the north west of Tarragona and produces some of the best and most sought after wines in Spain. Naturally, this means they have their price but it is possible to sample the wines of Priorato without taking out a second mortgage. The region is also only one of two, along with Rioja, that has been awarded the highest quality category DOCa. Unlike Rioja, however, all of its wines are excellent. The region of Priorato takes its name from the 12th century Carthusian priory (priorat) founded in 1163 which started local viticulture. Legend has it that a shepherd had a vision on the site of the priory, in which he saw angels descending a heavenly ladder, which gave its name to the priory ‘Scala Dei’. The name lives on today in one of the region’s bodegas still making wine in the cellars of the old priory. What makes this area produce such unique wines? The answer as always lies with grapes, climate and soil. Lets start with the soil. It is perfect for vines and consists of red and black slate and quartz which conserves and reflects heat. In addition, the roots of the vines have to go deep in search of water, nutrients and minerals. The region as a whole is very steep and mountainous which means that working the vineyards is very labour intensive and hence, costly. In addition, the area is small and production is limited. There are a number of micro climates in the area but essentially the summers are long dry and hot and the winters cold. This tends to produce wines of a high alcohol level. The minimum allowed by the DO is 13.5%! The main grape varieties are the Spanish varieties Garnacha and Cariñena together with the French Cabernet Sauvignon and Syrah. The vines are old and produce low yields which again increase the cost. However, this means that the wines have a delicious intensity of flavour. All Priorato wines are blends of different grapes sometimes as many as four varieties. When taken together the three elements of grapes, soil and climate produce Priorato wines that are sought after throughout the world. The most famous bodega in the region is that of Alvaro Palacios who makes three wines the most famous and expensive of which is L’Ermita. A reasonably priced newcomer from the region is ‘Nita’ made by a young, enthusiastic female winemaker called Meritxell Palleja who has worked with Alvaro Palacios. The wine is a classic Priorato blend of 45% Garnacha, 35% Cariñena, 15% Cabernet Sauvignon and 5% Syrah. The wine has a delicious red fruit character with underlying mineral hints typical of the region. The wine has a pleasing freshness as well as structure with a persistently pleasant after-taste. It is a well-priced introduction to the wines of Priorato – the first rung on God’s ladder. Cheers! Salud! Prost! Skål! Proost! Santé! Slainte! Kippis!